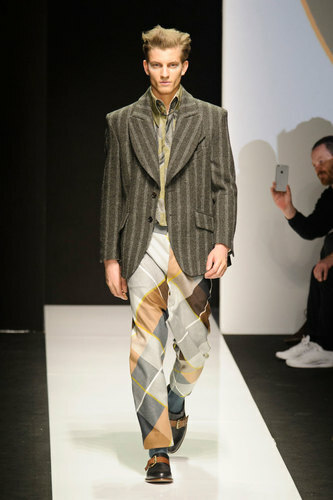 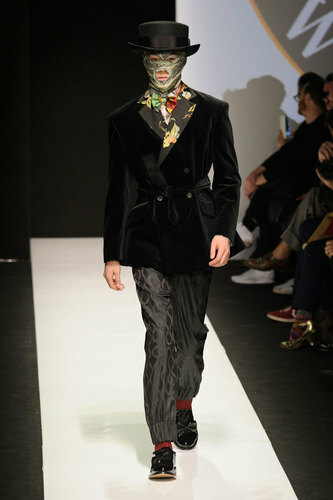 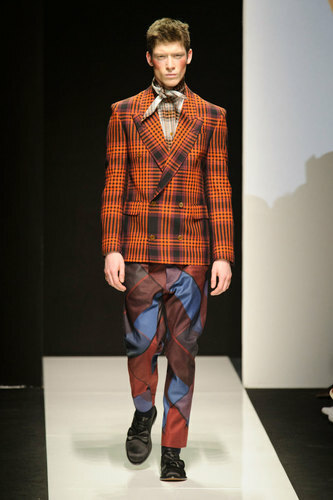 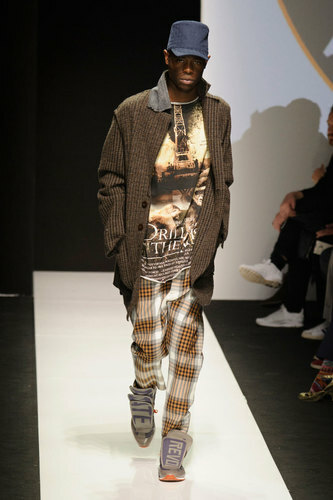 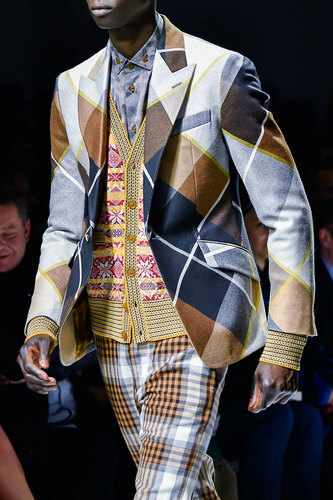 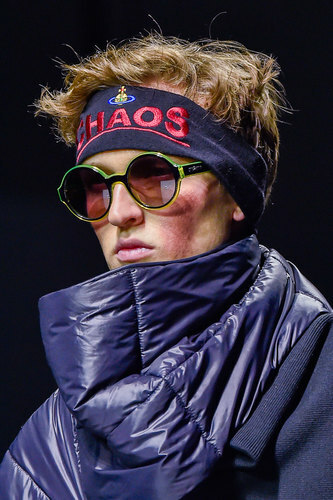 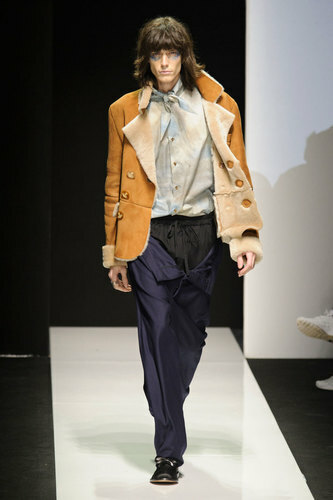 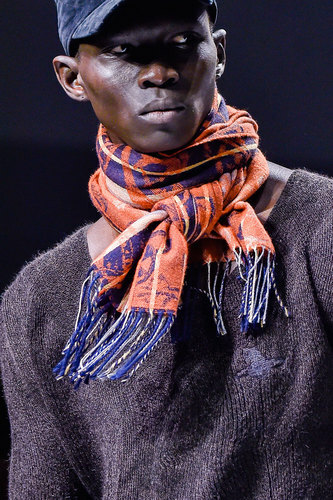 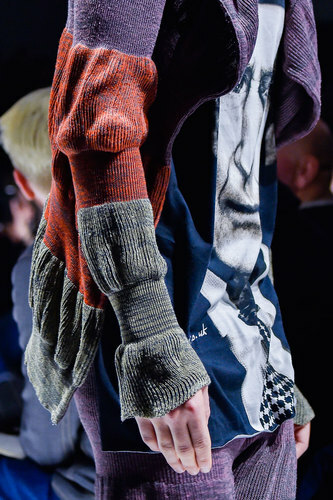 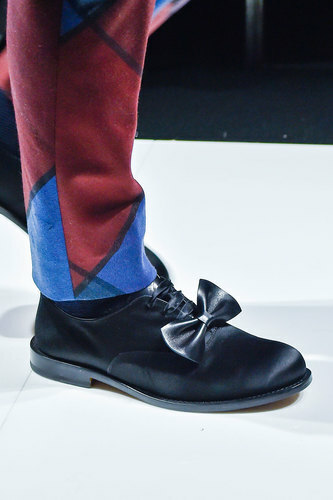 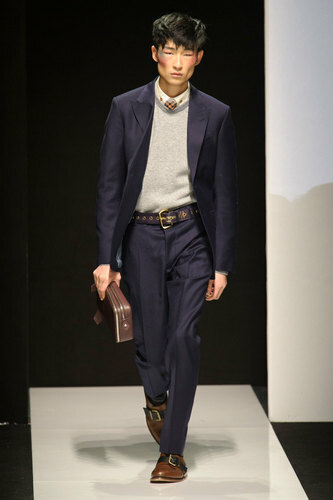 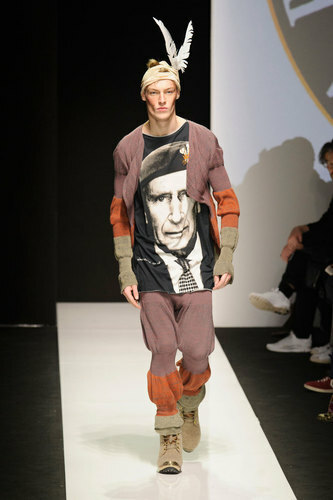 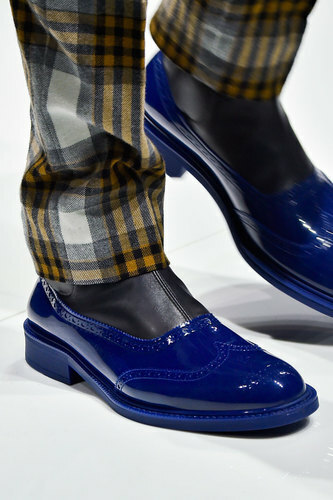 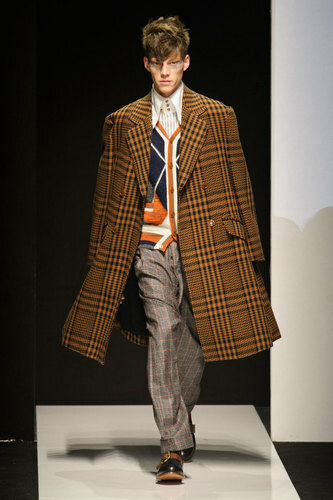 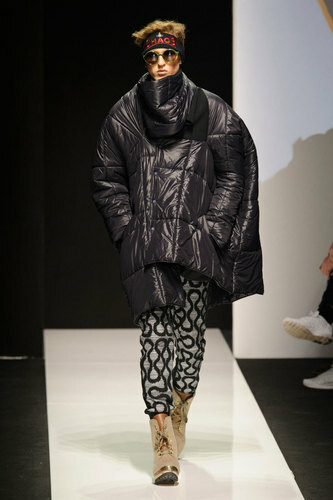 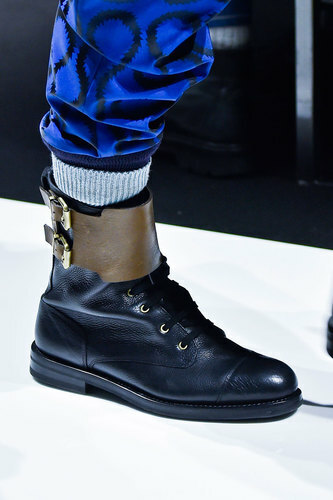 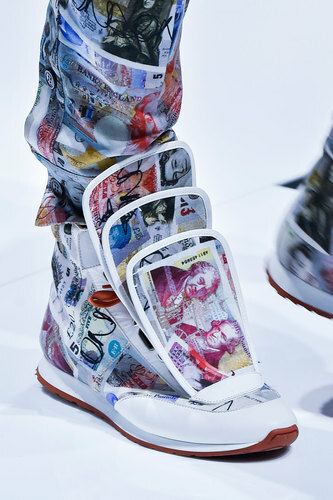 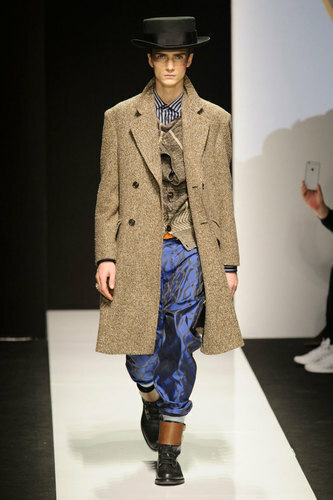 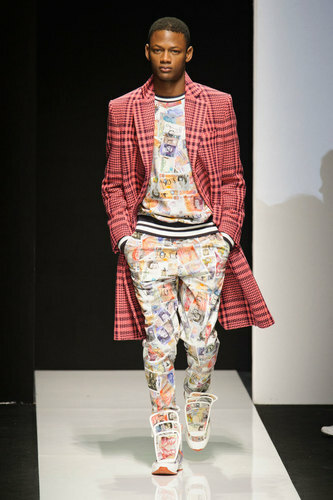 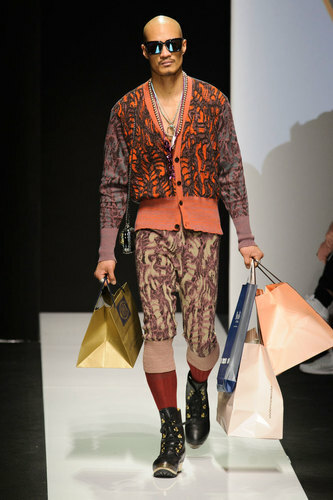 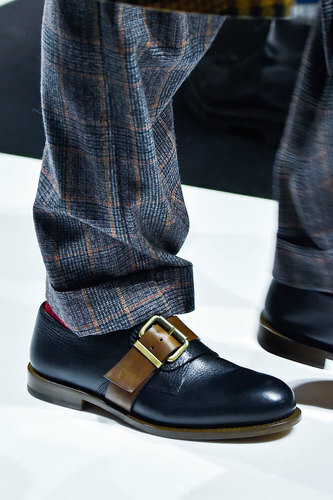 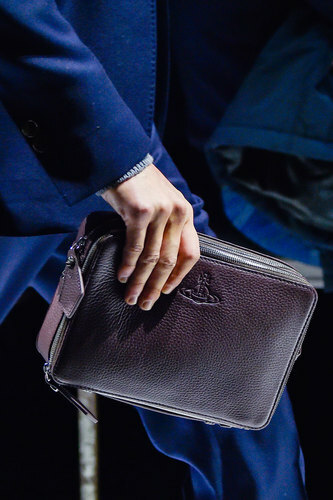 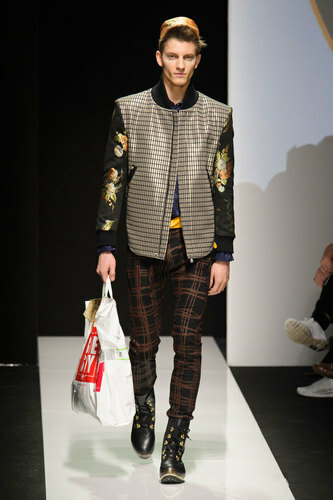 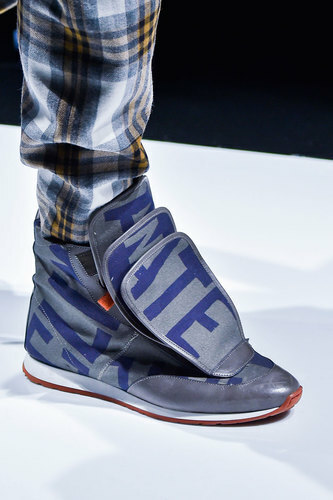 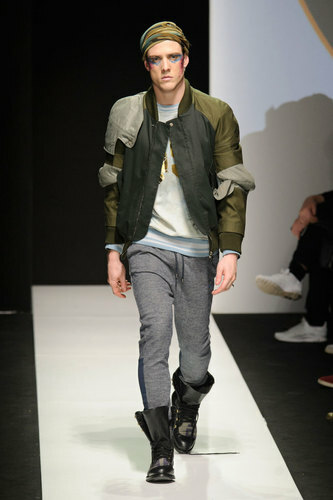 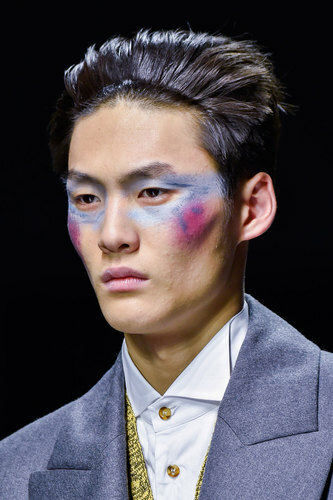 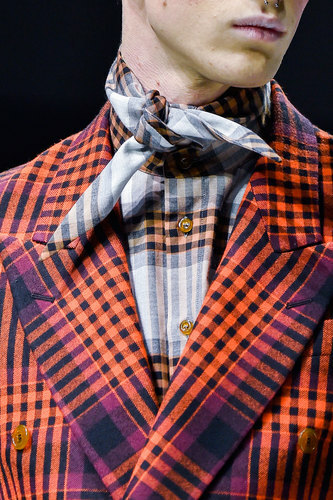 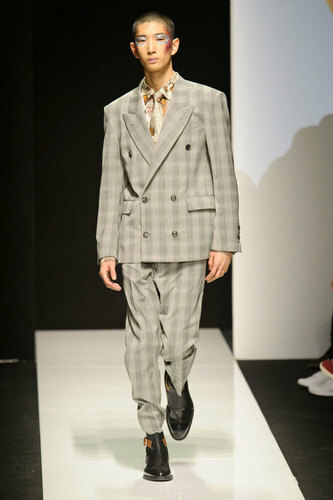 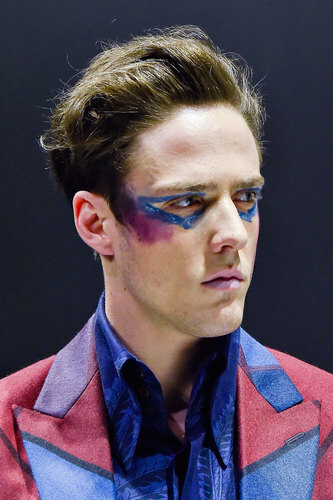 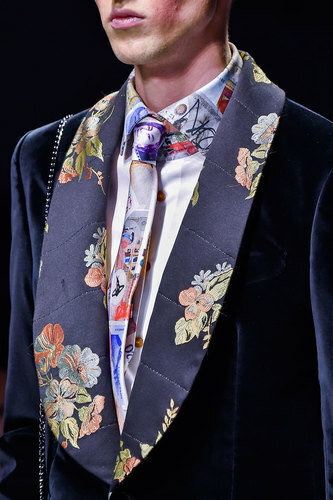 Vivienne Westwood Man Autumn-Winter 2015-16 – Vivienne Westwood whimsical season is inspired by Prince Charles. 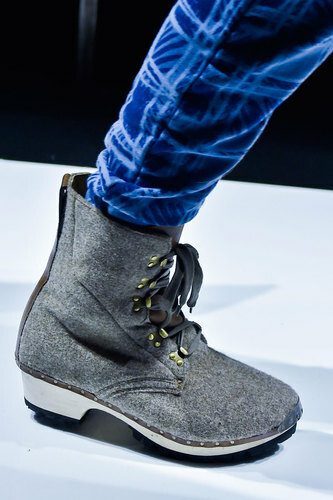 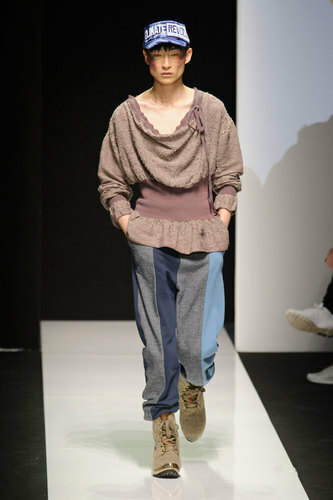 The designer expressed her admiration for his impeccable style and his involvement in ecologist causes. 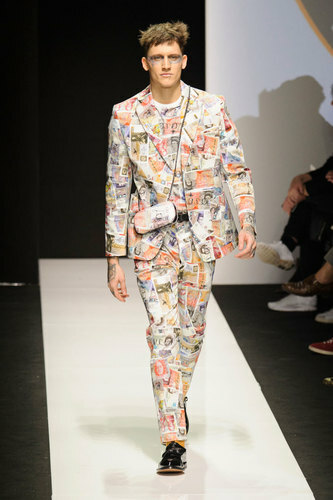 Her husband, Andreas Kronthaler is also a big fan of him: “he is always correct, always dressed for the occasion, always”. 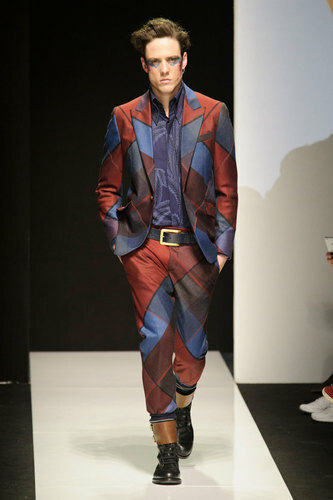 The collection offers a large range of patters and prints. 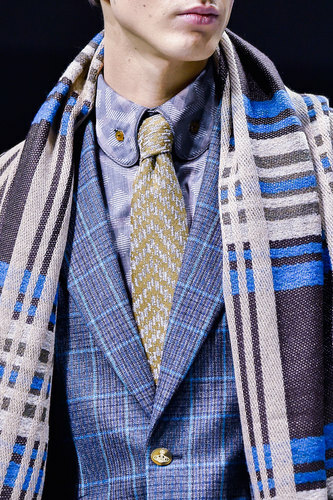 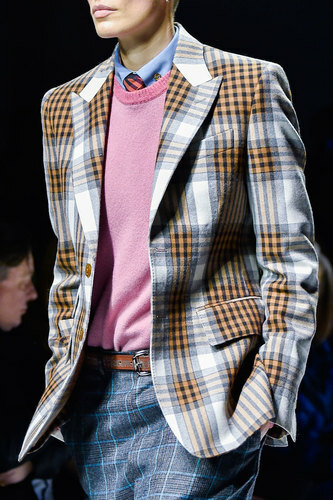 Classical tweeds are rearranged in bright tones and they are blended with other fabrics. 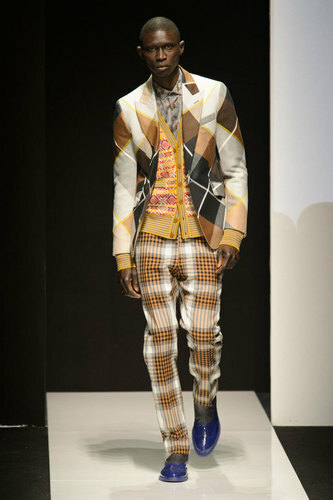 The wardrobe is so eclectic that it is not easy to find common cyclic themes. 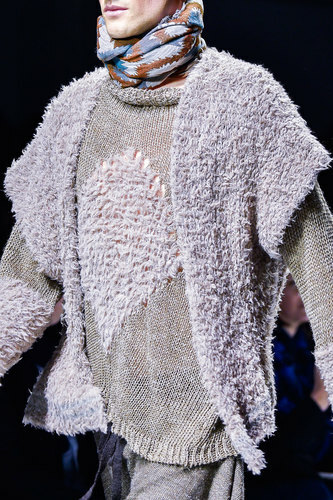 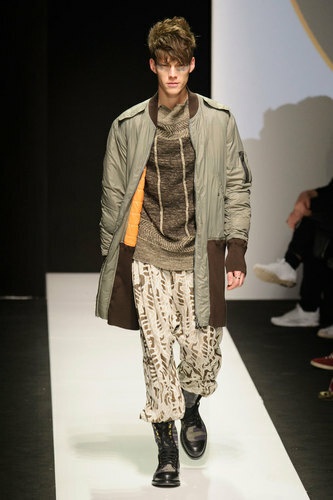 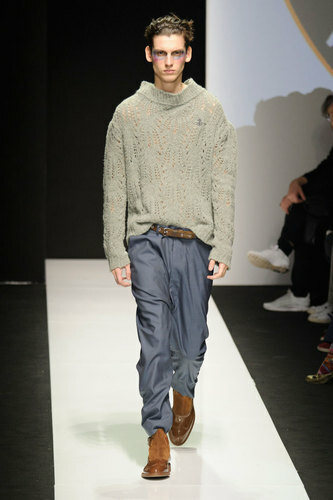 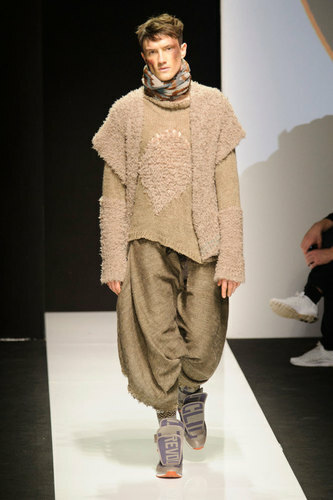 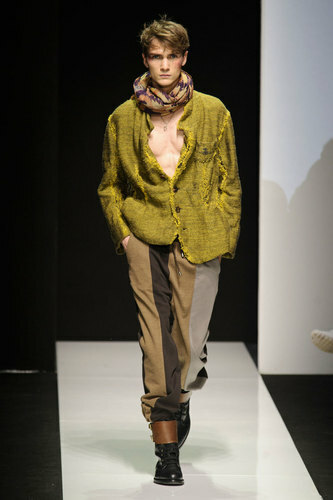 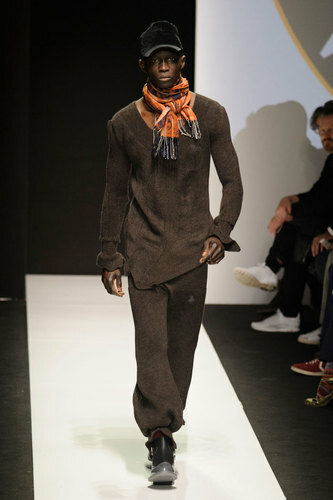 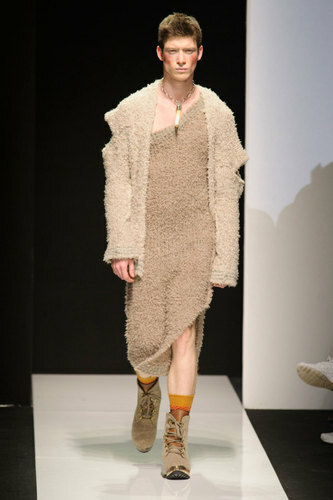 The knitwear is also present in the show in tones of beige. 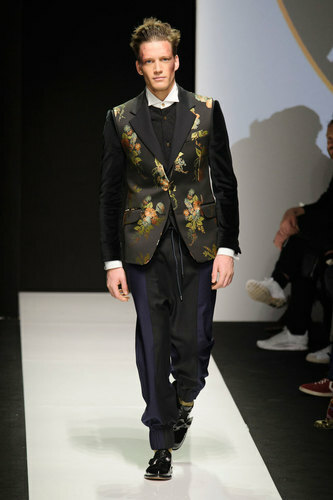 Casual outfits represent the trendy urban man and they alternate with classical elegant suits typical of the British Royal source of inspiration. 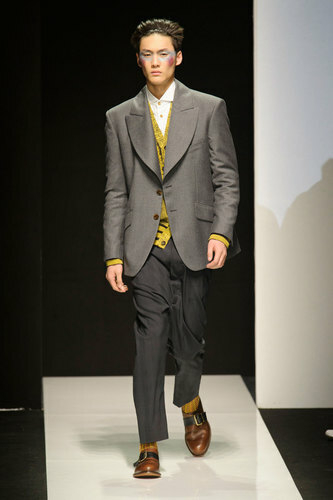 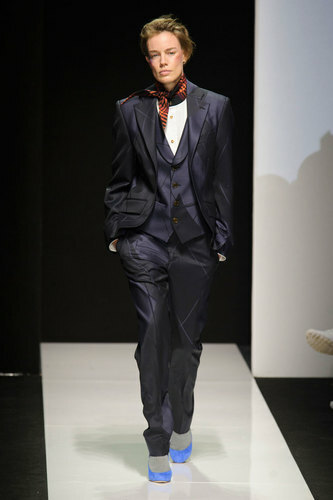 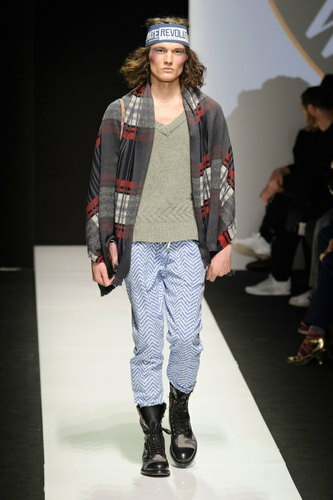 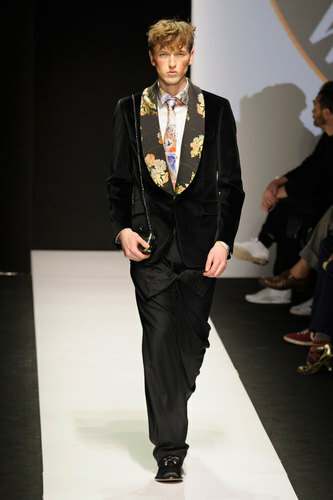 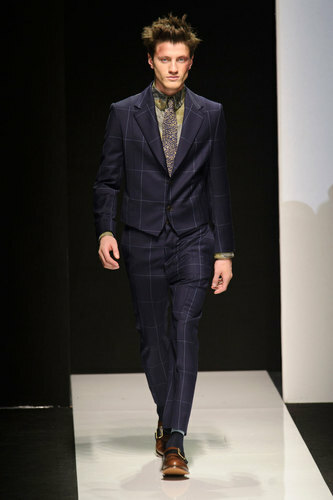 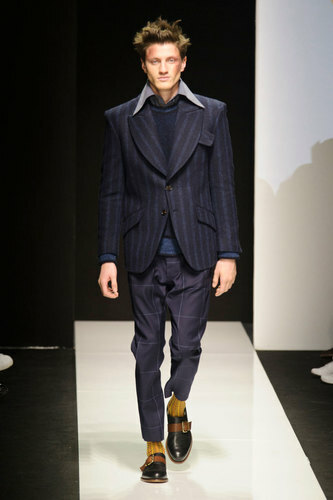 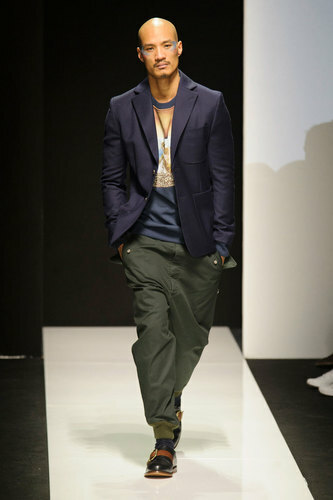 Westwood designed some interchangeable pieces of the collection: some garments can suit men and women at the same time.